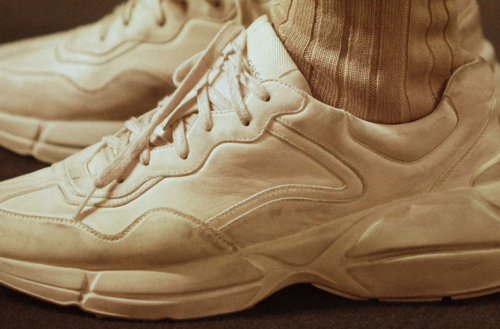 Why is the Ugly Sneaker the New Trend in Fashion Footwear? Remember the old school running sneakers? The classic New Balance 990 series is the perfect example of the everyday running shoe. Best known for its thick rubber sole and monochromatic exterior, it provides functionality and performance for real athletes. Today, many high-end fashion designers have caught the “normcore” bug. They’ve begun to incorporate the design elements of everyday running shoes into high-end sneakers — with a new twist. For example, Balenciaga presented its “Triple-S” series luxe sneaker during the fall/winter 2017 show. Helmed by Vetements designer Demna Gvasalia, this new style is characterized as “real, heavy-duty, high fashion-spec footwear” by Balenciaga. This sneaker is already broken-in with pre-distressing and constructed with three stacked soles for a retro feel. And the worn-out look is pure normcore. Lanvin, also stepped up in the sneaker game, has a version of runners made from metallic calfskin (and retailed at $795) for fashion-conscious guys. This rubber-soled sneaker reminds us the old school classic, the Nike Cortez. However, Lanvin added more details to the shoes and put a festive vibe on it. This fashion forward sneaker is better suited for streetwear than working out at the gym. Never afraid to show unconventional beauty in its collection, Gucci also jumped on the bandwagon and presented its version of ugly sneaker during the Cruise 2018 show. This style looks like a monochrome version of Balenciaga’s Triple-S shoes. Its pre-distressed design also gives the surface a worn-out feel, and the chunky sole equally reminded us of our Grandpa’s mall-walking shoes. This Gucci sneaker isn’t visually appealing, but we bet it will become Gucci’s number one seller next year. The ugly sneaker trend isn’t dying. In fact, this style is getting a second wind at the recent Spring/Summer 2018 shows. 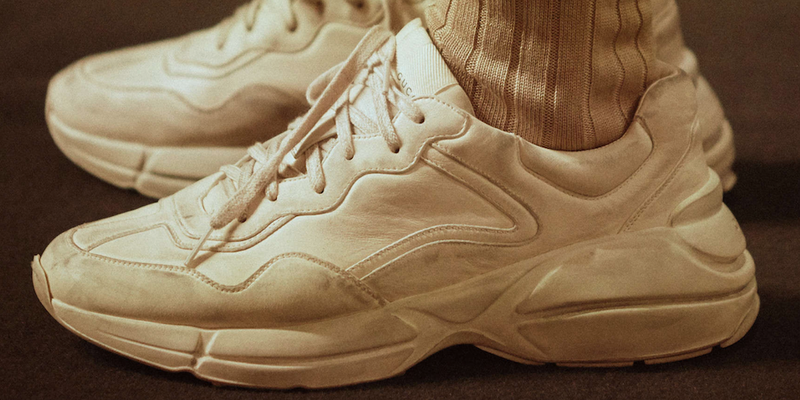 Designers from London to Paris all played with normcore and debuted their versions of the ugly sneaker.